The 2004 Barbaresco Riserva Asili is even more compelling than the Rabaja. It floats on the palate with an ethereal core of sweet fruit that calls to mind a profound Musigny, but with the unmistakable structure of Nebbiolo. 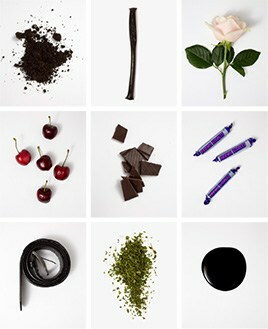 The perfumed purity of the fruit carries all the way through to the deeply satisfying, resonating finish. Made in a soft, seductive style, this remarkable wine is decidedly more approachable and easy to appreciate today than the Rabaja... Bruno Giacosa says his 2004 Asili Riserva will turn out to be just like his 2000 Asili Riserva, the wine he still thinks is the best he’s ever made. Anticipated maturity: 2010-2025. The Wine Advocate - The 2004 Barbaresco Riserva Asili is even more compelling than the Rabaja. It floats on the palate with an ethereal core of sweet fruit that calls to mind a profound Musigny, but with the unmistakable structure of Nebbiolo. The perfumed purity of the fruit carries all the way through to the deeply satisfying, resonating finish. Made in a soft, seductive style, this remarkable wine is decidedly more approachable and easy to appreciate today than the Rabaja. Giacosa fans will have a great time discussing the merits of the Rabaja and the Asili in 2004, but to me they are virtually equally moving; Asili for its feminine gracefulness and Rabaja for its size and power. The Asili should prove more accessible at an earlier age. Bruno Giacosa says his 2004 Asili Riserva will turn out to be just like his 2000 Asili Riserva, the wine he still thinks is the best hes ever made. Anticipated maturity: 2010-2025. Bruno Giacosa's cellars are in Nieve and he has just over 17 hectares of vines in Barbaresco and Barolo. He also buys in grapes from growers that he has dealt with for over 30 years and trusts completely. New techniques in the vineyards have ensured that the Nebbiolo grapes are now picked slightly earlier than before and at optimum ripeness. Maceration times have been reduced from around 50 days to nearer 30, as a consequence of having physiologically ripe fruit from the vineyards. Not for Giacosa the fashionable new French 225-litre barriques - all his wine is aged in large 5,000 litre botti, though these are now French rather than Slovenian. His wines are marvellously perfumed on the nose and meaty and full-bodied on the palate. They have a suppleness and elegance that few wines in the region can match. 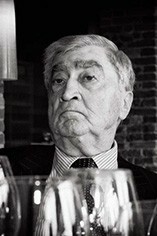 Bruno Giacosa sadly died in early 2018. His daughters, Bruna and Marina remain at the helm, united by their father’s obsessive antipathy towards mediocrity. The Piedmontese DOCG zone of Barbaresco is responsible for producing some of Italy’s finest wines. It occupies the same region and uses the same grape (Nebbiolo) as its bigger brother Barolo, but is a third of the size (only 640 hectares versus Barolo’s 1,700 hectares). 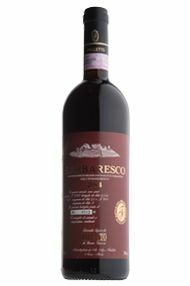 It is also 50 years younger than Barolo, having produced wine labelled Barbaresco since 1890. Barbaresco earned its DOCG after Barolo in 1980, largely thanks to the efforts of Angelo Gaja. The soils are lighter here than in Barolo – both in colour and weight – and more calcareous. The slopes are also less favourably situated and (relatively speaking) yield earlier-maturing yet extremely elegant wines that require less oak ageing (normally one year in oak plus six months in bottle). The appellation’s key districts are Barbaresco, Treiso, Neive and Alba.